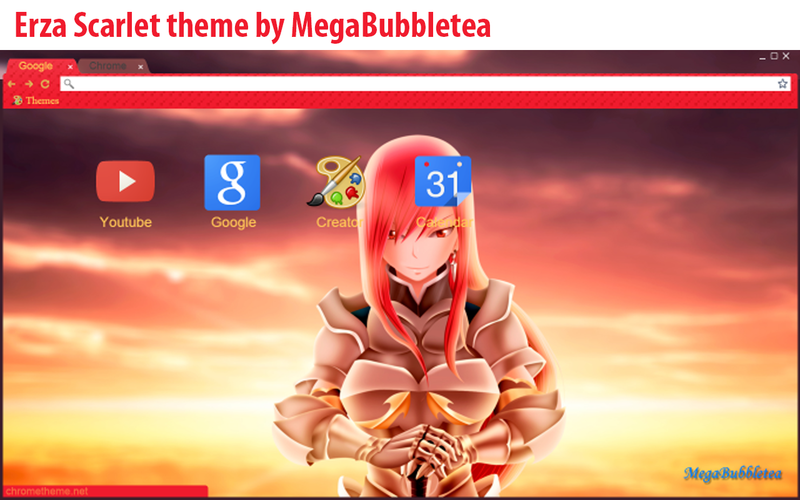 This theme was another request from Mitko Nikolov as he wanted a Chrome theme featuring Erza Scarlet. Looking at the Chrome Web Store, there is only one other Erza Scarlet theme available. So here's another one! Enjoy.